This dish is delectable, low carb-friendly, and easy to make. It is a standby recipe for lunch or dinner and is incredibly tasty, filling, and flavorful. 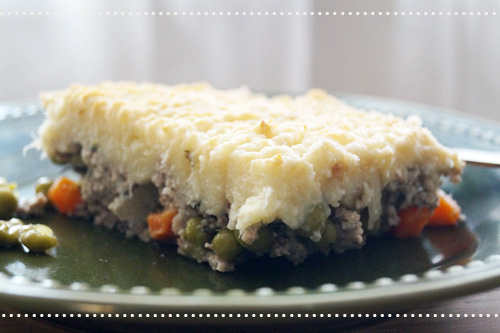 Even if your children aren't excited about veggies, they will love our Shepherd's pie. It is loaded with nutritious ingredients and takes about 40 minutes to prepare. It isn't exactly a hurry-up but tastes great and can be made ahead of time. The leftovers also reheat really well. You will love the blend of flavors and the cauliflower and beef combo tastes so good! Fill a pot with water, bring to boil, and add cauliflower. Season with salt and cook for 5 - 6 minutes or until soft and well done. Remove from heat and drain well. Use a food processor or blender, add 2 tablespoons of butter, season with salt and pepper, and puree. Heat 3 tablespoons of butter in a medium-sized pan, add onion, and cook for 2 - 3 minutes. Add carrots and cook for 3 - 4 minutes. Then add peas and cook for 2 - 3 more minutes. Add beef and cook until brown. Season with rosemary leaves. Preheat oven to 200 C. Spread the beef and vegetable mixture in a baking dish and add the cauliflower mash on top. Cook for about 30 minutes and remove from oven. Leave for 5 - 10 minutes to cool. Serve with salad.